It’s easy to think that addiction only affects “certain” people. You have to live in “that neighborhood” or hang out with “those people” in order for addiction to reach your doorstep. 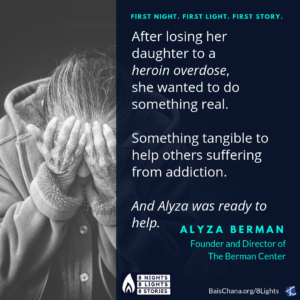 Alyza created The Berman Center of Atlanta, GA in loving memory of a remarkable young woman who suffered from addiction. 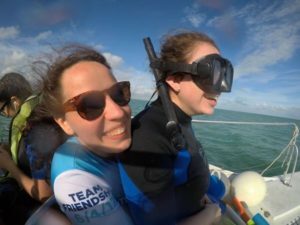 She tragically lost her life to a heroin overdose just before her 21st birthday – the exact same time that other girls in her community were about to head out into the world to start a family or career. 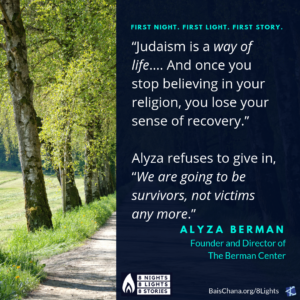 Along with her fierce and unwavering faith in G-d, Alyza’s support was crucial in getting the young girl’s mother back on her feet with a renewed sense of purpose. 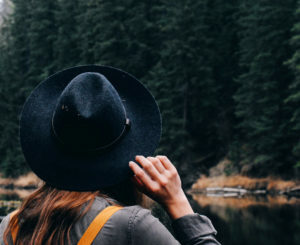 After losing her daughter, she wanted to do something. Something real. Something tangible to help others suffering from addiction. And Alyza was ready to help. Creating The Berman Center was her answer to the overwhelming need for an explicitly Jewish treatment center. The center welcomes the involvement of rabbis of all affiliations – from Reform to Orthodox. It has introduced 12-step meetings to new locations such as synagogues and other Jewish institutions. And it offers sober living houses to foster a sense of community. 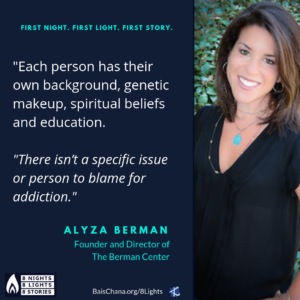 Alyza Berman, who specializes in working with people with addictions and eating disorders, as well as their families, has also worked with many families who’ve lost loved ones. 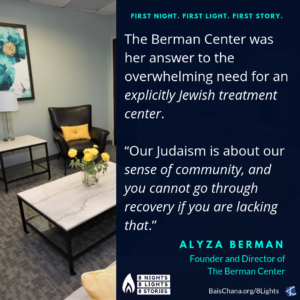 The Berman Center has since opened its doors to all faiths as well as people suffering from mental illness. To find out more about The Berman Center: www.BermanCenterATL.com. The Berman Center was created in loving memory of Estee Leah bat Binyomin, may her neshama have an aliyah. Meet the other remarkable lights here.